WELCOME TO Aastha's Blog. Here you’ll find thoughts, opinions and musings about nutrition, diet myths, health tips, food trends and fad-free healthy eating. Hope you'll stick around and come back again. The vacations are on and summers are at its peak. Most of the kids love to play around in the open. Playing in the sun can lead to heatstroke if precautions are not taken. 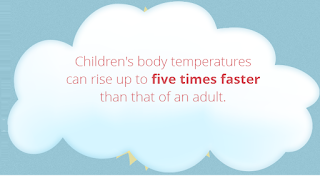 It is seen that children overheat more easily than adults do. The American Academy of Pediatrics says that children generate 20 to 25 percent more heat for their weight during exercise than adults do. Sunstroke, also known as heatstroke - is a medical emergency. 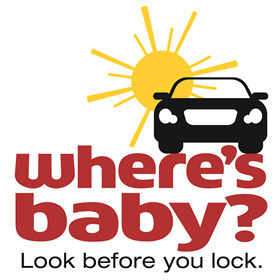 If you suspect heatstroke, take your child to the nearest hospital or clinic immediately. Before your child overheats to the extent of sunstroke, before that he will show the signs of heat exhaustion. He may sweat heavily, while his skin feels cold and clammy. He may feel tired, weak, dizzy or nauseated. The may also complain of muscle cramps or might have a rapid heartbeat. If his temperature is 103.1 degrees Fahrenheit or higher, your child is suffering from heat exhaustion. If your child does not cool down, his condition might progress to heatstroke, which can damage organs and can also prove fatal. Symptoms can include a fever of 104 degrees F or higher, dizziness, lack of sweat, severe headache, confusion, flushed skin, muscle weakness or cramps, nausea, vomiting, loose motions, rapid breathing, rapid heartbeat and seizures. It is not essential that all symptoms are present. If you suspect your child has heatstroke, begin cooling him. Take him into an air-conditioned room or in front of a fan. If possible, remove his extra clothing and get him into a cool bath, or wet him with a garden hose, but do not let the child drink. In this altered state, the child could inhale fluid into his lungs. Heat exhaustion or heatstroke can surely be prevented by taking sensible precautions when it's very hot. Keep your child out of the sun between 11am and 3pm. 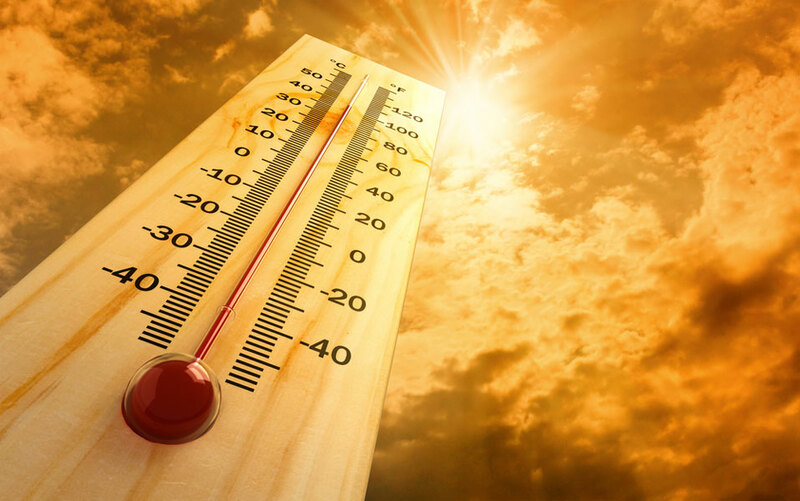 Check for heatwave warnings, so you're aware when there's a potential danger. If the child has to go out in the heat, make him walk in the shade or carry an UV protected umbrella, apply sunscreen and make him wear a hat and light scarf. Make your child wear light, loose-fitting cotton clothes. If you're travelling to a hot country for a holiday, be particularly careful for at least the first few days, until you and the child get used to the temperature. Give your child plenty of cold drinks, and avoid hot drinks. Feed cold foods, particularly salads and fruits, smoothies, milkshakes, juices with a high water content. Give a cool shower or bath at least twice a day. Sprinkle water over the skin or clothing, or keep a damp cloth on the back of the neck. 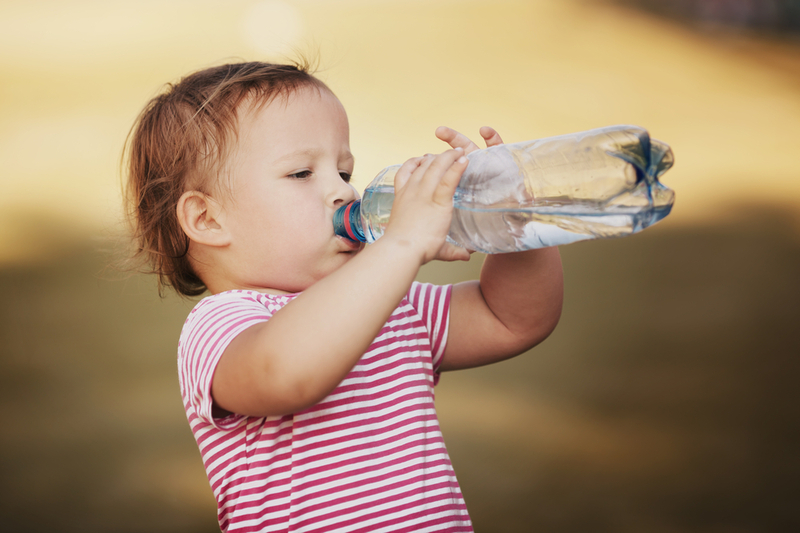 If the child is not urinating frequently or the urine is dark, it's a sign that the kid is becoming dehydrated and need to drink more fluids. Keep windows and curtains that are exposed to the sun closed during the day, but open them in evening when the temperature has dropped. Turn off non-essential lights and electrical equipments and gadgets, as they generate heat. Keep indoor plants and water filled decorative bowls in the house, as these cools down the air. Use light-coloured, reflective external paints on your house it may also be useful to keep the house cool. Keep an eye on isolated, elderly, ill or very young children and make sure they are able to keep cool. Ensure that babies, children or elderly are are not left alone in stationary cars. Coconut water rehydrates your body by naturally balancing the electrolytes in your body. Similarly, buttermilk is a good source of probiotics and helps in replenishing your body with essential vitamins and minerals that may be lost due to excessive sweating. This is one of the best remedies for treating a heat stroke. Lot of Ayurvedic practitioners suggest that this should be the first thing that you must reach out for. Applying onion pulp or onion juice behind the ears, on the chest and on the soles of feet can help bring down the body temperature. Raw onions in chutneys or salads can also cool your system. Mix some sandalwood powder and apply it on the forehead, soles and chest. Its cooling properties will bring down the body temperature. Alternatively, massage some sandalwood oil on the forehead. Aam Panna refreshing drink that doubles up as a health tonic. It is made with raw mangoes and spices that cool your body. This drink should be consumed at least two to three times in a day.““Aam panna is enriched with cooling spices like cumin, fennel, pepper and kala namak which provides both energy and electrolytes,”says Dr. Simran. Click here for some more ravishing summer beverages to prevent heatstroke. Aastha has over 7 years of experience in the field of Food Nutrition and Health. Currently she is associated with Dr. Shikha's NutriHealth Systems as a Team Leader - Nutritionist from the past 7 years, she has was also associated with Brands like, Escorts Heart Institute, Max Healthcare and Christian Medical College and Hospital. She holds a Master Degree in Food, Nutrition and Dietetics and Post Graduate Degree in Diabetes Education. By profession she is a Nutritionist and Internationally Certified Diabetes Educator. She has been the Official Health and Safety Consultant for Corporates like Indian Oil Corporation, City Bank etc. and an Official Nutrition Consultant for Femina Style Diva Miss India 2013. She is an active blogger, writing is her passion and she loves writing anything from self help, religion, alternative medicine, nutrition, health and fitness. Yes. Simple theme. Powered by Blogger.